Plein Air Painting Easels Madison Art Shop has an exceptional collection of Plein Air Easels, stools and accessories by Jullian, Soltek Richeson and Craftech. This selection features top quality Plein Air painting easels for discounts of 60% and more! A Plein Air easel allows for optimum portability when painting outside. The way the moonlight dances across a rippling stream, an old couple clasping hands on a park bench, shadows beneath a collection of flowers � with Plein Air painting you can paint the world in front of you as you see it. At Madison Art Shop, we understand the passion you translate into works of art. As artists, we understand your needs when painting en plein air, and we have relied on our experiences to provide the best plein air easels for the best prices. Need help choosing your plein air easel? Give one of our friendly and knowledgeable staff a call at (800) 961-1570. When strolling through a park nowadays, you�ll oftentimes see the sidewalk lined with artists diligently painting their favorite subjects. 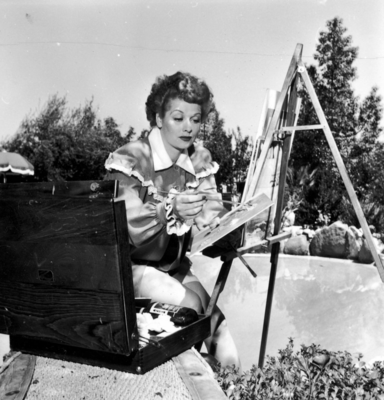 However, painting en plein air (French for �in the open air�) was not always so common. In fact, it was positively revolutionary in the 1800s, when the Impressionists ventured into nature to capture the effects of sunlight and different lighting throughout the day on their subjects. Of this period, Claude Monet and Pierre-Auguste Renoir were well-known for their beautiful Plein Air paintings. Plein Air painting contributed to the stippled, dreamlike brush strokes characteristic of the Impressionist period, and now it is something that most artists venture to try at least once. 	When painting en plein air, it is important to use a proper plein air easel. You will want an easel that is lightweight (for portability purposes) and easy to set up, but that will not get blown over in the wind. Some Plein Air painting easels have compartments in which you can store your supplies, and others have compartments that expand to create a workspace. �	Be sure to dress in layers for the weather. You do not want discomfort to breach your flow of creativity. Don�t forget to wear UV protection on sunny days. �	Unless you�re inconceivably fast, you�ll likely be painting for several hours or, on occasion, several days during which the light will change throughout the day. Consider expanding your project to include a series of paintings capturing the effects of different lighting. As the day wares on, switch your canvases.